I’ve been frozen out on a deer stand before, but never like this. It was the final seven days of the 2017 bow calendar and I had looked forward to some late season action. But with daytime highs at -15 to -10 degrees, and evening temps plunging down to -30 degrees below zero, I began to question the logic of my stubborn perseverance. 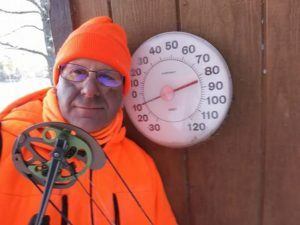 During the late October hunt with my buddy Bill, I decided not to draw on a beautiful Fork-Horn that meandered ten yards in front of me while I sat motionless on an old log. I can still remember the elegant animal as it moved with grace and disappeared silently over a hill. 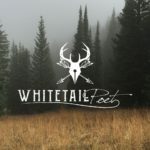 In that moment, something on the inside of me registered that I would put in some cold weather hunting. 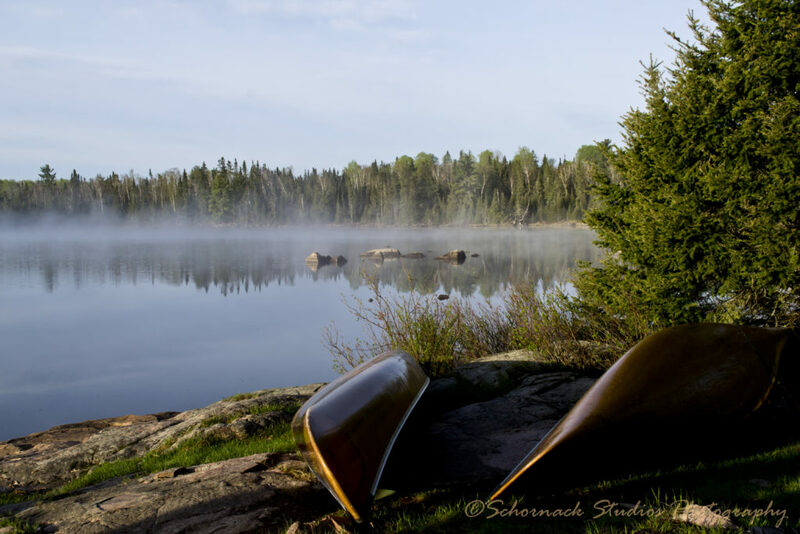 I navigated my old Jeep down the quiet cabin road in the minus twenty-degree blackness. The engine turned off with reluctance. This was it, I had arrived, and prepared to enter the bitter cold world of my wilderness landscape. 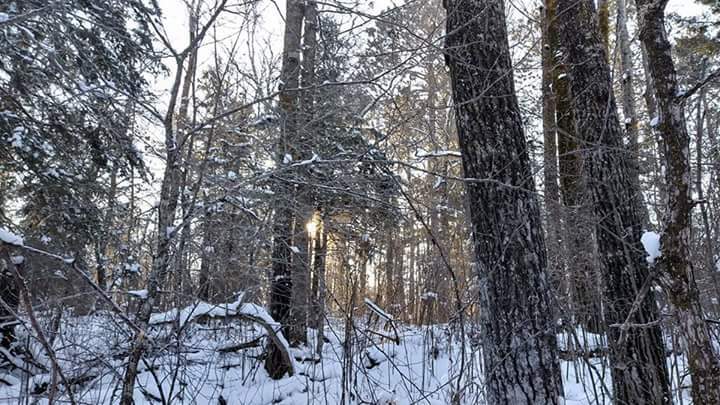 I carried in every piece of warm clothing I could possibly wear, along with an old comforter, and trudged to my stand through the dark forest, situated a mile back on a small ridge surrounded by slough structure. Spring scouting had revealed a fair amount of deer traffic in this corridor. My hopes were high. I decided to approach my spot over the iced-up swamp instead of busting through the wooded cover. The gray twilight of morning illuminated the surroundings as I slipped into my outer shell. I pulled myself up into the desolate stand and settled in for the morning hunt. I sat in silence. The ritual of the waking woodland captured my boy-like wonder. Winter snowbirds began their daily routine, flirting from branch to branch, with the occasional pop of a tree limb exploding under the intense cold. Over the next several hours my body heat dissipated. I held on for as long as I could before my layers gave way to the extreme temperatures and I climbed down from my look-out. The beginning stages of Hypothermia gripped me and I forced heat into my body with a steamy cup of coffee. With stiff limbs and feet like rocks, I fought off the shivers, and surveyed the surrounding area as my Pack Boots kicked up fine clouds of snow. I noticed the deer had changed their winter routes to the swamp edge and well out of bow range. My heart sunk. The stand proved useless for a late-season chance. It was time for an executive decision. After pouring another cup, I started to feel somewhat normal again, and decided to pull my stand down. Careful not to over exert myself and burn my lungs with the raw air, I tied my gear together, flung the load over my back, and headed out. 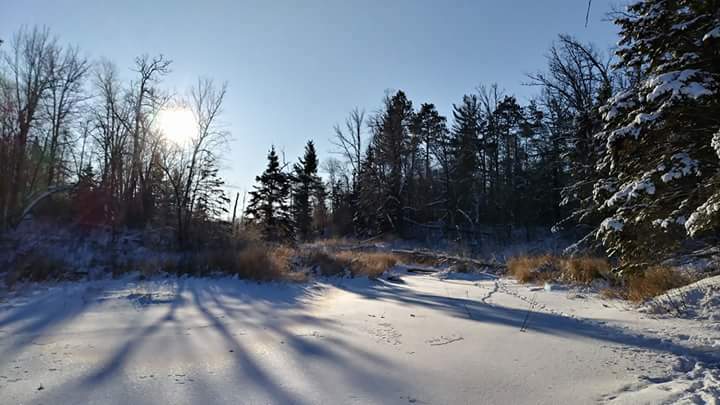 As I began my trek, loaded down like a mountain man packing out his winter pelts, I noticed fresh tracks leading to a watering hole by the beaver dam. I thought this would make a good ambush along the far bank tucked up against a pine and hoped to return later that week. Heat came back into my body as I plodded around the brush and downfalls which eventually lead back up to the navigable section of the forest. The morning Sun seemed powerless over the grip of winter in this magical icy wonderland. An eerie haze hung over the Spruce thickets. Frosted lonesome branches, encrusted in thin atmosphere, watched my solitude… studied my labored efforts. The cold was my companion. Winter rain transformed the snow pack into a large ice skating rink and warm temperatures collided with the frozen Terra creating a thick blanket of fog. My footing was treacherous. 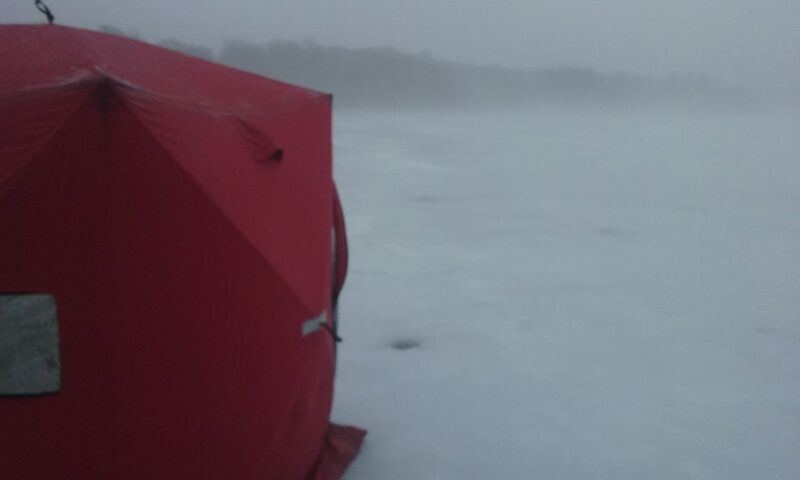 I maneuvered out to my buddy’s portable ice-fishing house on a wilderness lake in the Tamarac Wildlife Refuge. 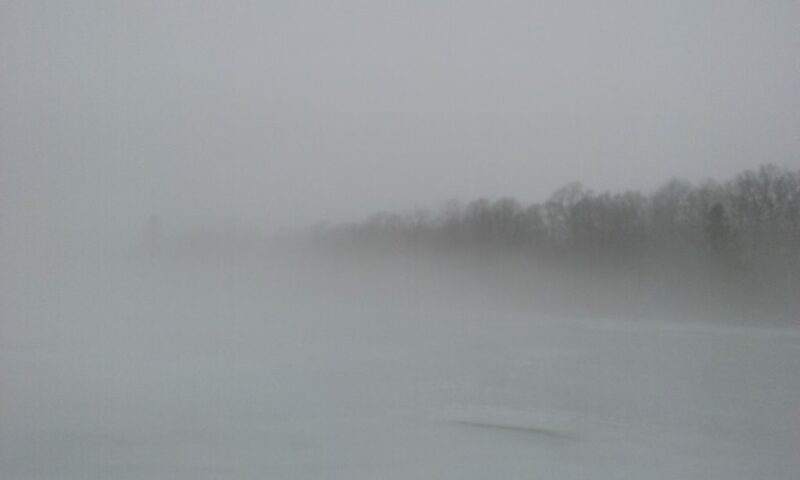 A heavy cloud enveloped me as the shoreline disappeared in a veil of mist. I slid over the smooth surface trusting I would not over-shoot the destination. 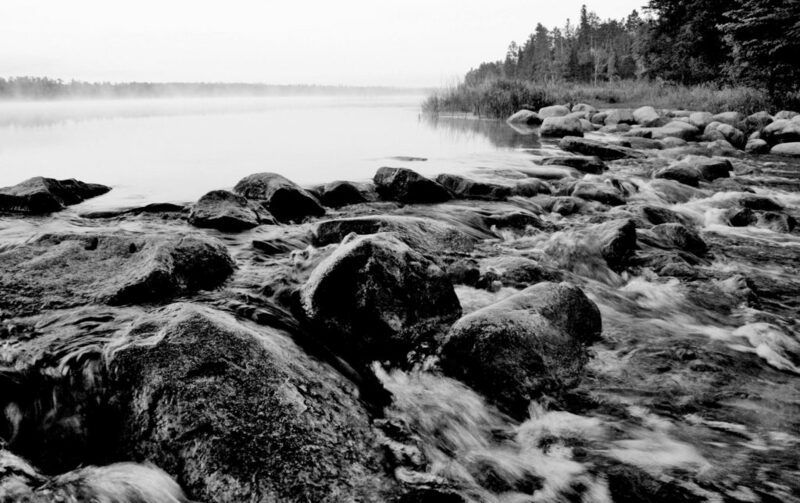 A steady breeze pushed the thick air in circles around me and portrayed an eerie, remote, northern feel to the morning. 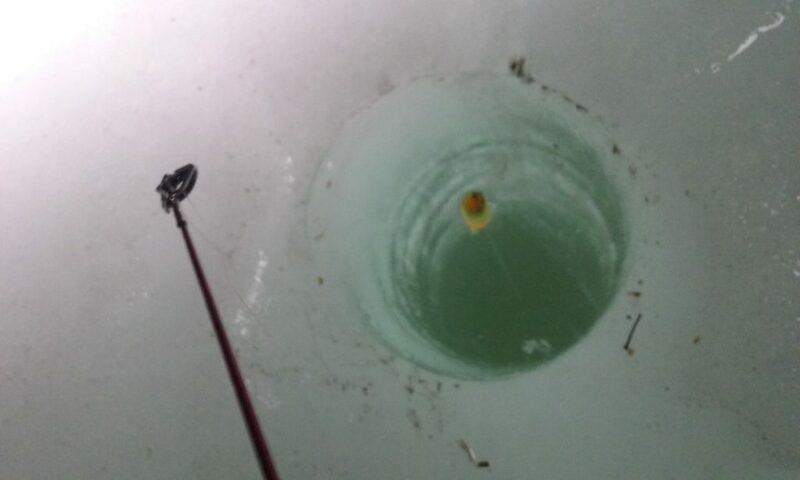 Small openings began to appear like large gopher holes from previous ice fishing excursions as Kurt’s red shanty materialized out of the soupy mix. The buffeted canvas shell flapped like a loose sail in open water. I stepped through the zippered entrance and was greeted with a smile. 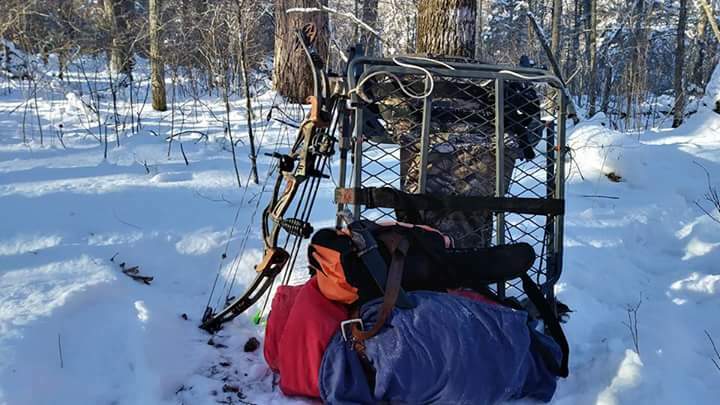 A tripod hunting chair I carried served for my personal angling view. The jig opening plunged downward and turned from a whitish green hue to the gray cold below. I hooked a minnow, dropped a line, and waited for that first strike. We chatted and laughed in between the nibbling Perch. 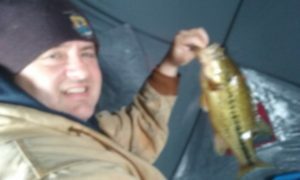 The sudden tug of Crappie and Small-mouth Bass, which fully committed to the offerings, broke up our banter with flurries of excitement. Fishing was good, but not great. Apparently, I missed the prime-time, which Kurt had bragged up from the day before, when fish jumped out of the holes and flopped into his bucket. But still, the setting was unbelievable. A Minnesota moment that becomes sheared into memory. The walk back with a meal of Crappie was just as adventurous as the trek out. 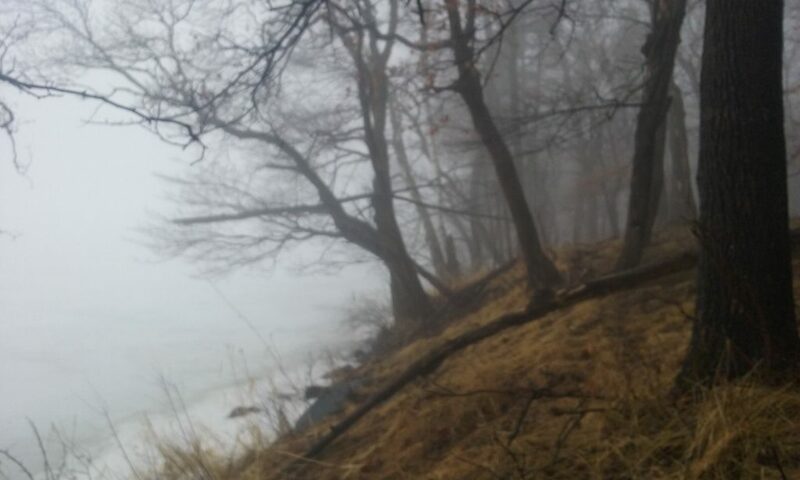 I headed directly for the tree-line which loomed out of the fog like sentries that watch their keep in silence. The bank was turned up from years of violent upheaval as stiff winds guide ice-flows off the water in their annual migration. Crusted drifts of snow lingered as a reminder of winters waning strength. I followed a well-worn deer trail through the oaks. The spongy ground was a stark contrast to the hard, icy surface. The haze dissipated through leafless branches and the wet forest was ripe with expectation of a new season. As I left the parking lot, the access trail was a muddy mess of tire tracks and melted snow that my old Jeep plodded over with confidence. I hit the blacktop and a spray of mud thumped onto the wheel-wells while I worked the gears and gained momentum down the deserted county two-lane. Back home I cleaned up the catch for supper. 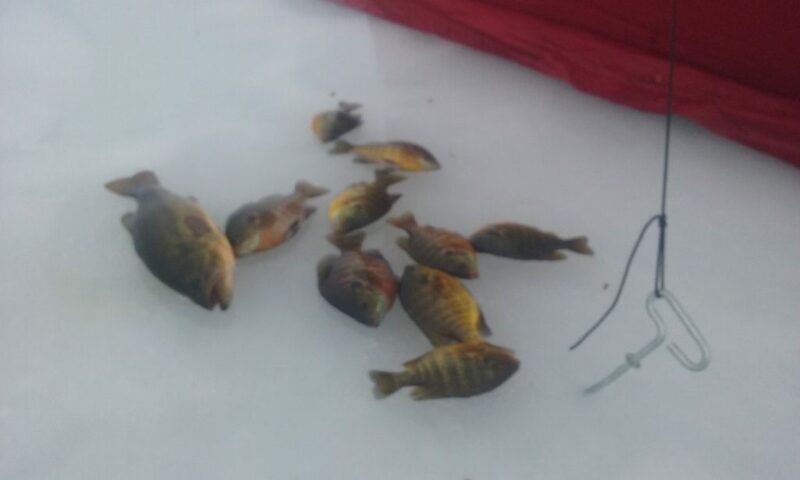 It was a great day of hard water fishing with a good friend.